The dome-top custom stackable chair is both comfortable and convenient. The metal base is finished in your choice of either black or silver vein. 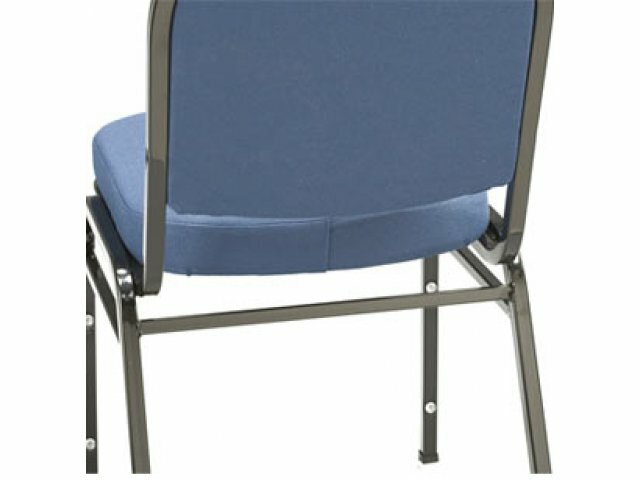 The seats of these stacking chairs have two inches of soft padding and the seating area measures a generous sixteen inches square. 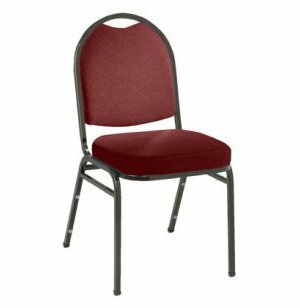 Available in a variety of exciting colors, all upholstery is stain treated to ensure that these stacking chairs will keep looking fresh for years to come. 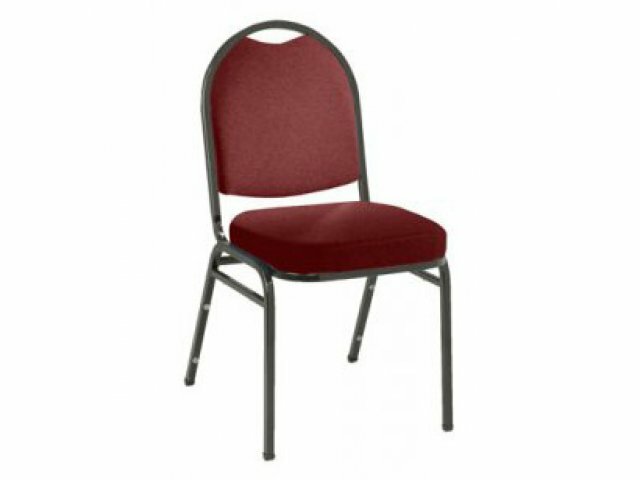 The convenience of these stacking chairs lies is their durability and easy stacking. The base of the chair is designed with square tubing for increased strength and 18-gauge steel ensures that these stackable chairs can withstand heavy daily use. Stacking bumpers and back leg reinforcements mean that it is easy to stack these chairs for removal and storage. With built in rocker glides, these chairs will not damage your floors and will help keep your overall maintenance costs down. These stacking chairs make it so easy to set-up and clean-up after large events.